Do you want to switch to WordPress from Blogger with all your content and images? You may have started with Blogger and wondering to expand the reach of your audience by moving to a better platform like WordPress. 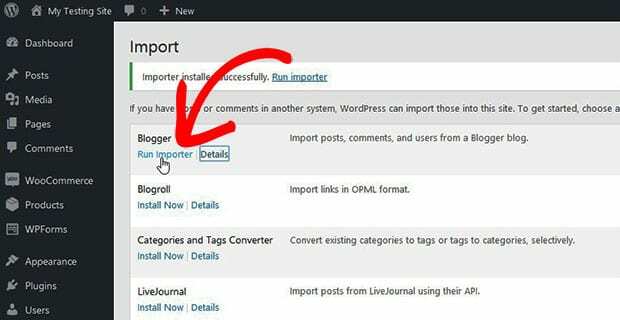 In this tutorial, we will share how to import Blogger to WordPress with images. When you grow in your blogging career, you look for a software that is flexible in features to fulfill all your writing needs. Blogger is a good platform to start with, but WordPress let you enjoy the tons of themes and plugins for a complete blogging solution. To create your own WordPress blog, the first thing that you need is a web hosting. Saving your time on research, we recommend you to choose any one hosting company from Bluehost and Hostgator. Both are managed WordPress hosting companies and reliable for your new blog. Next you should add your domain to the hosting account and setup WordPress. To learn about WordPress installation, check out this step by step guide on how to install WordPress. After setting up your blog, you can import Blogger to WordPress with images. 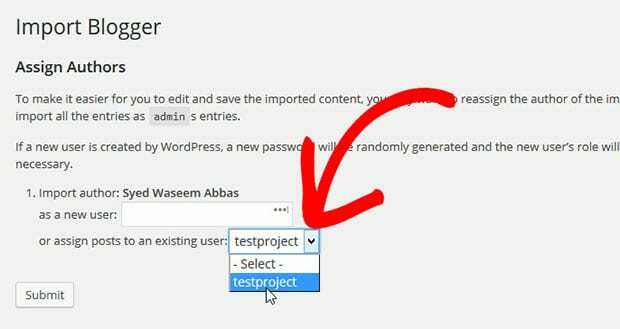 Since you need to import Blogger to WordPress with images, go ahead and login to your Blogger account. In this dashboard, you should go to Settings » Others and click on the Back up Content button. A dialog box will popup where you need to hit the Save to your computer button. 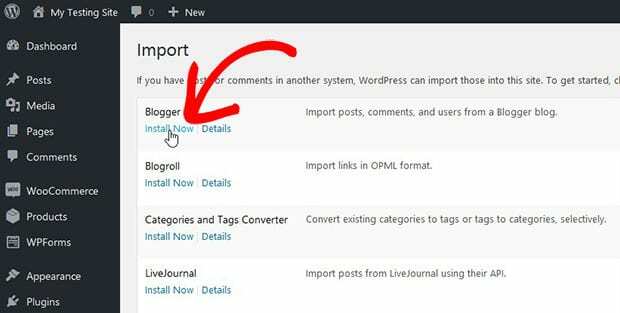 It will export an XML file to your computer that you can use to export Blogger to WordPress. Next you should login to your WordPress admin and go to Tools » Import. There are multiple importers available, and you need to click on Install Now link below Blogger. A success message will appear on the top of the page. Next you should click on the Run Importer link below Blogger. It will redirect you to a new page where you can upload the XML file that you exported from Blogger and click on the Upload file and import button. Your Blogger content will successfully transferred to WordPress. In case, if your XML file size is larger than your default upload size in WordPress, then you need to request your hosting company to increase the upload file size limit. Once you are done with assigning user to articles, you can go ahead and fix URL structure in WordPress. You need to make sure that your WordPress URL structure is similar to Blogger. 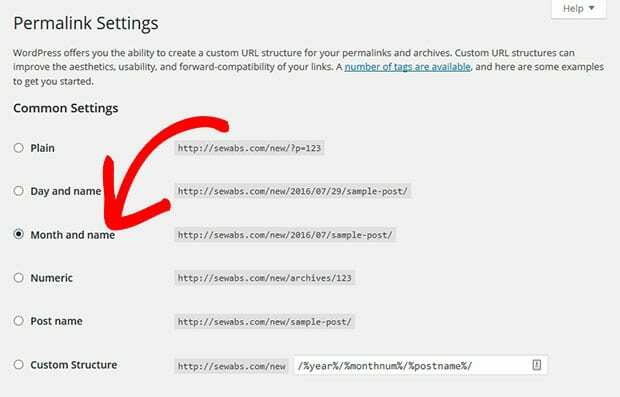 To manage URL structure in WordPress, you need to go to Settings » Permalinks from admin and select Month and Name. Next, you should setup link redirection in Blogger. To redirect your visitors, you need to login to your Blogger account again and go to Template settings. In these settings, you should simply go to Revert to classic templates and click on the Revert to classic template link. After making your changes, you should click on the Save button. Using this code, you will be able to redirect your visitors from Blogger to WordPress on the same article. It also helps you to rank in the search engines. 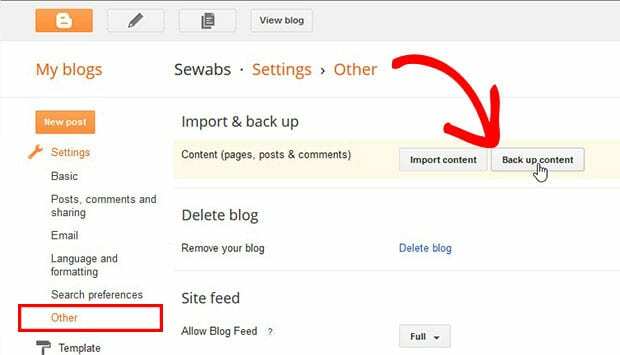 Now you should also redirect your RSS Feeds from Blogger to WordPress. To add this redirection, you need to login to your Blogger account and go to Settings » Others. Look for the Site Feed settings and add your WordPress RSS Feed URL in the Post Feed Redirect URL option. 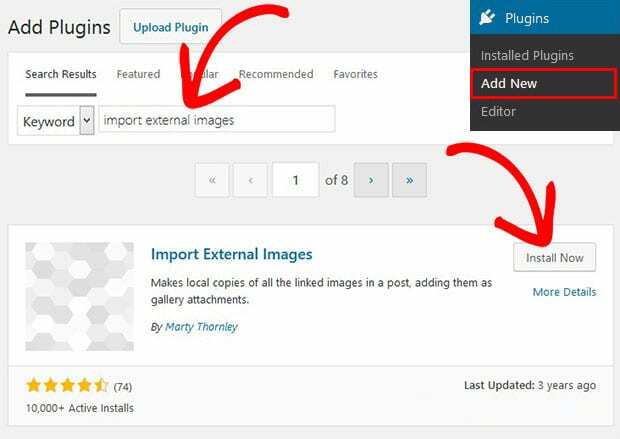 To import images from Blogger to WordPress, you need to go to Plugins » Add New and search for Import External Images plugin. Click on the Install Now button and then hit the blue Activate button. After activating the plugin, it will show you the settings to import external images at Media » Import Images option. For further details, you should check out this guide on how to import external images in WordPress. Simply use these images to create beautiful image sliders in WordPress. You can also create classic image sliders to engage your visitors on your site. That’s all. We hope this tutorial has helped you to learn how to import Blogger to WordPress with images. You may also want to check out our guide on how to import and export Soliloquy image sliders and learn about 25 legit ways to make money online with blogging.